"Few records can boast a solid, 100 percent streak of pure gold .... (Sports is) packed from start to finish with nary a single track that doesn’t border on greatness ... one of the few perfect rock & roll records out there." 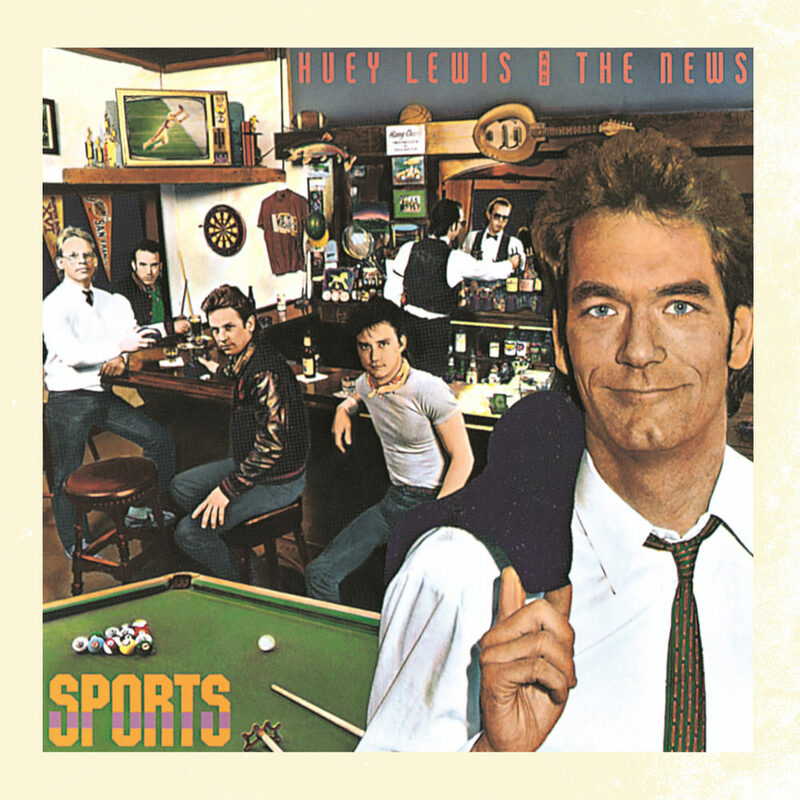 "The Sports aesthetic was as brilliant as it was simple ... although the band’s sound was still unmistakably rooted in the pub rock style that had attracted Lewis early attention from the likes of Elvis Costello and Nick Lowe, the record’s production was tricked out with just enough of a slick ’80s sheen that the singles fit comfortably alongside the synth-powered hits of the day ... but even with that ’80s production hanging over the record, Sports still holds up surprisingly well three decades later ..."
One of the biggest records of 1984, Sports made Huey Lewis a household name and became the soundtrack to the mid 1980s. The album hit number one on the Billboard 200 in 1984, sold over seven million copies in the US and spawned five hit singles, four of which went top 10. "... our first album didn't do anything. We produced the second album ourselves and kind of broke even ... this was the third album on our contract and we knew we had to have a hit. There was no Internet ... FM radio was very programmed. There was only one avenue to success and that was to have a hit record. We produced it ourselves and wanted to make sure we did it on our terms. Our style was to take something old and make it modern. Around 1980 we heard Steely Dan's Hey Nineteen which was cut with the LinnDrum. Our idea was to take the modern technologies of the day as kind of the cake, if you will, and then have the icing be saxophones and voices and old school stuff. It was the old and the new at once."